Explosion Proof, ATEX Certified Pneumatic Control Panel. 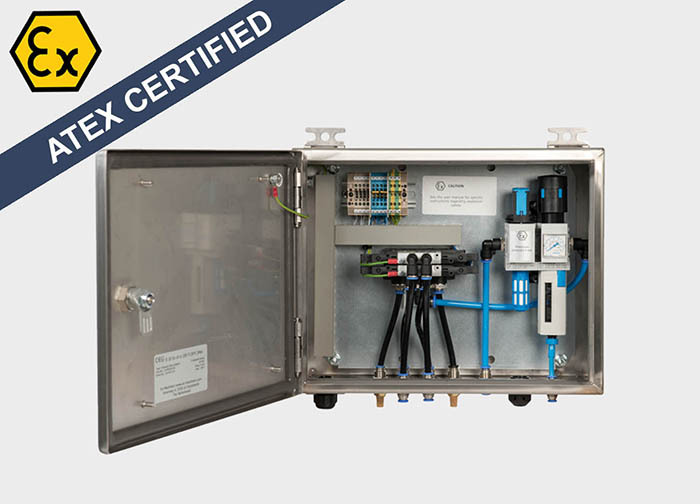 The ATEX Ex-SVC series consists of high-quality pneumatic control panels for use in the process industry, demanding dust or gas explosion safe equipment. The ATEX Ex-SVC series is suitable for zone 2 and zone 22. On request suitable for zone 1 or 21. Our explosion proof control panels are used in the process industry for several years now, often used in the construction of mixers for the food sector. First class components such as valves from Festo and robust stainless steel housing guarantee high quality. Machine builders benefit most from our knowledge and experience, when involving Ex-Machinery at the design-stage, Specific advice in the design-process always pays off, as the requirements depend on the intended use, occurring substances and ATEX zone. Optional Hygenic version of the ATEX control panel. Wet cleaning possible. EN 60079-11; Explosive atmospheres – Part 11 : Equipment protection by intrinsic safety "i"
EN 60079-15; Explosive atmospheres - Part 15 : Equipment protection by type of protection "n"
EN 60079-31; Explosive atmospheres - Part 31: Equipment dust ignition protection by enclosure "t"
Product sheet Download Product Sheet: Ex-Machinery, ATEX Certified Pneumatic Control Panel. Ex-Machinery has 14 years of experience in ATEX and Explosion Safety. We modify equipment of leading brands to Explosion Proof equipment, retaining the state of the art properties of the original. 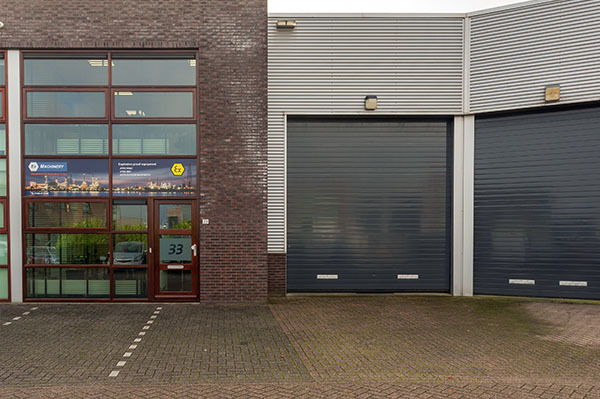 We provide your ATEX solution. Safety guaranteed.